Size: 19 x 14 x 3.375. Finish: high density polypropylene. Description: Sleek modern design. 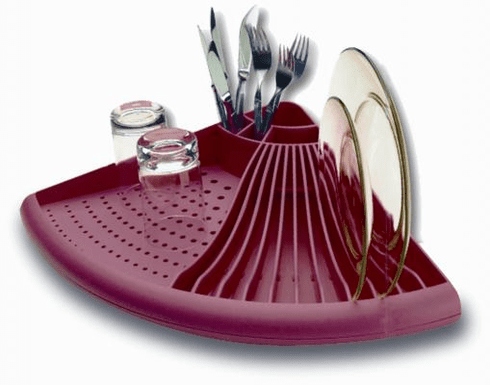 All in one: drying rack, drainboard and cutlery holder. Space saving: stands upright when not in use. Snaps apart for easy cleaning. Assorted colors. Colors subject to availability.